Hyper-V is the software technology on which multiple virtual machine can be created,Hyper-v controls the hardware and allocating resource to each VM operating system called Virtual machine. Hyper-V consists of three types of virtual switches like private, external, and internal. Create an external switch for the purpose of sharing your computer's network with the virtual machines which are running on it. This is performed by creating the external virtual switch. Once it is done, the Hyper-V host will have a virtual switch which is used to connect virtual machines to the internet with the help of the computer's network connection. If you are looking for low budget windows hosting plan, then you can go with our shared hosting plan. It comes with all you need, such as hosting, enough CPU and RAM to run your small website and nice webmail and email accounts. Our shared windows plan comes with Plesk control panel and It is available in various plans such as Unlimited hosting, silver, Gold and premium plans. Each VM’s will acts has a complete Node and run each virtual machine in its own isolated space. 2. Select Action > Virtual Switch Manager. 3. Select Create Virtual Switch. 4. Add a name for the virtual switch. 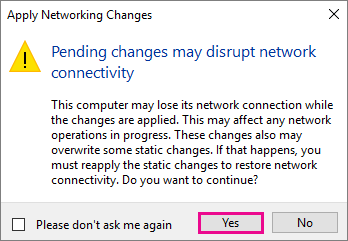 Setting name Description Allow management operating system to share this network adapter Select this option if you want to allow the Hyper-V host to share the use of the virtual switch and NIC or NIC team with the virtual machine. With this enabled, the host can use any of the settings that you configure for the virtual switch like Quality of Service (QoS) settings, security settings, or other features of the Hyper-V virtual switch. To the internal switch, there will be only the data communication, and the internet will not be provided to the virtual environment. So, you need to click on create a virtual switch and select internal switch in connection by clicking on ok. To the private switch, you will be selecting a private switch instead of the internal switch and the remaining is going to be similarly related to the internal switch. And moreover private is also used only for the purpose of the data communication. Finally we have successfully created Virtual Switch. Now we can connect our created Virtual Machine on the same switch to enable the network access. HostingRaja windows vps servers are quite popular due to the high quality service receiveed by our customers. All our windows vps hosting server comes with Plesk license to fully control your web server. It also supports various version of ASP.NET, Crystal report and many other important features needed for you. Enable remote connection to a MySQL database on phpMyAdmin?